The Forest Chapel was a proposal for a visitor center and site office planned for Better Place Forests, America’s first spreading forest. A spreading forest is a permanently protected forest where families can spread the ashes of their loved ones under private family trees. 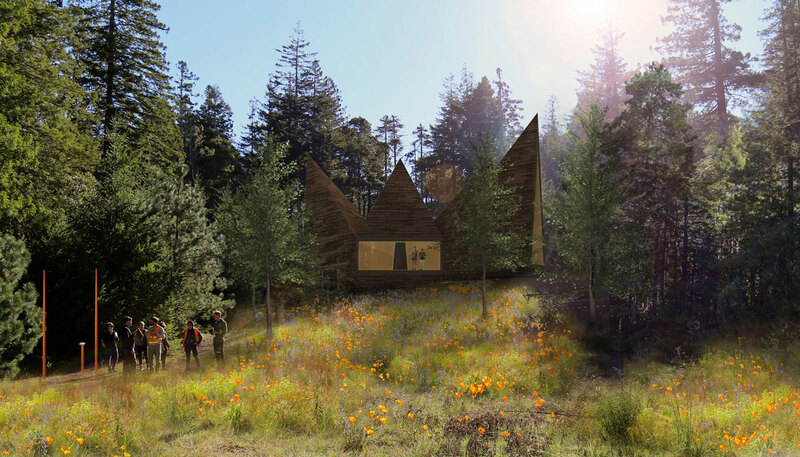 BPF’s first forest is opening in 2018 in a redwood forest in Mendocino County, California. 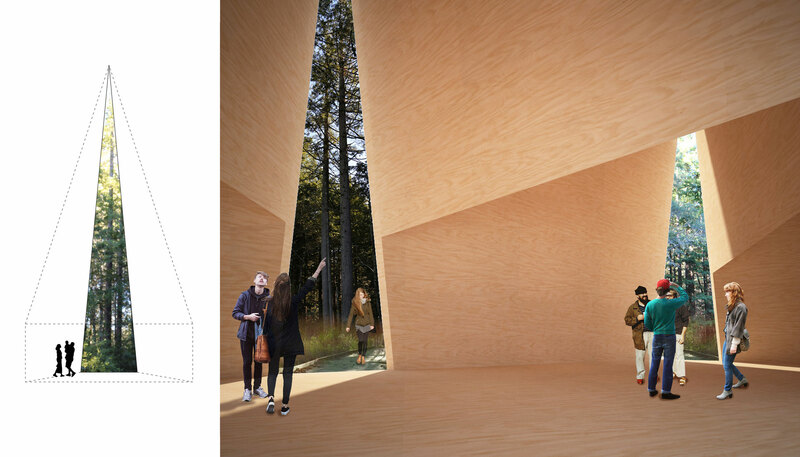 The Forest Chapel provides a space of calm in a setting of natural beauty that allows for family and friends to visit, cope with loss, heal, remember and celebrate loved ones. 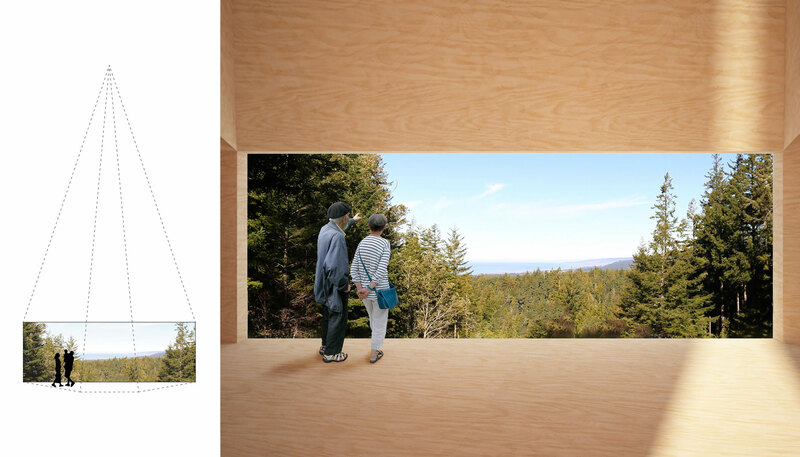 Located in a clearing overlooking the Pacific Ocean, the design uses a simple strategy of framed views to reconnect the visitor with the site while providing a protected space for gathering and reflection. 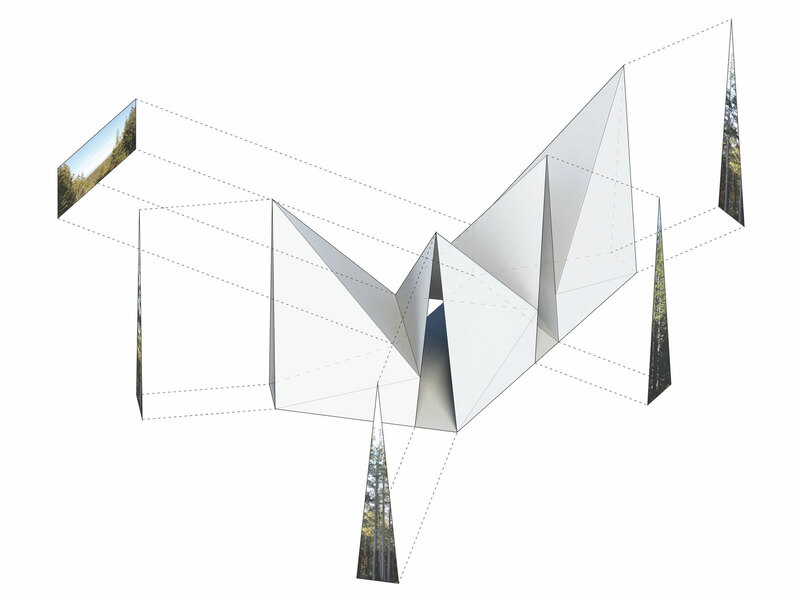 Designed for construction at the Mendocino location, the concept is also a prototype for future spreading forests where the number and configuration of models can be adjusted for programmatic or site constraints.